Austin, Texas. A hipster hub in the heart of the South. Home to an epic live music scene and the site of the most important indy festival in America. Gather your friends and charter an Austin bus rental for a trip to South By. Rent a minibus for a tour of Austin’s famous weird museums. 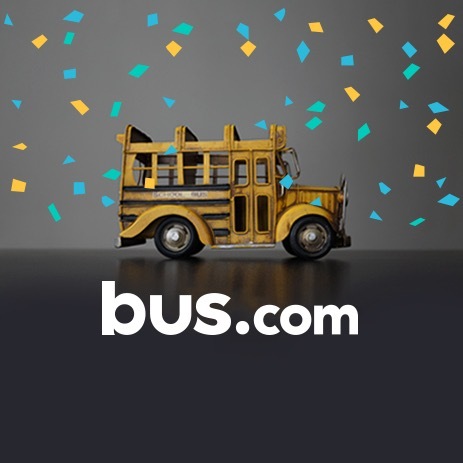 Book an Austin school bus for a college campus visit. Whatever trip you have on the calendar, Bus.com can handle the transportation. We’ll consult our massive list of partnering bus operators, find the Austin bus company that’s best for you, and provide a bus rental quote – all in less than two minutes! What determines the price of a Austin charter bus rental? Charter bus rental prices in Austin are calculated based on a variety of factors, including your trip date, total mileage, driver’s time on duty, availability of buses in Austin, and time of the year. We also work with our bus partners in order to get preferred prices compared to the rest of the market. Where do you get your Austin buses from? Our large network of trusted bus partners spans across North America. We ensure high quality charter bus service in Austin as well as competitive bus rates by personally vetting the local bus companies that we work with. How do I rent a bus in Austin with a driver? Each of our charter bus rentals in Austin comes with its own driver. Our charter bus quotes take this into account by including driver’s gratuity and hotel accommodations based on current industry standard. What kind of bus rentals can I book in Austin? 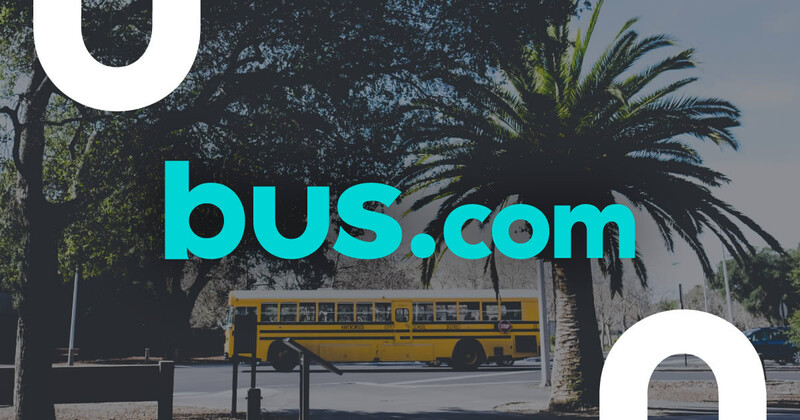 Depending on how far you're traveling and the amenities you need, you can rent a school bus, coach bus, mini coach bus, or minibus in Austin for your trip. How soon do I have to book my charter bus rental in Austin? With prices that increase the closer you get to your trip date, it is recommended to rent a bus early on during your planning process. With our Book Now, Pay Later policy, you can secure your bus reservation today, but only pay for it 21 days before your trip runs. Charter a bus in Austin for your Special Day and make it easy for your guests to get to all your wedding-related events. Set up personalized routes for guest pick-ups with minibus rentals or rent a fully-equipped coach bus for you and your bridal party. Whatever the occasion may be, we'll help you bring everybody safely to destination with a vehicle right for all your wedding transportation needs. Wedding planning is thrilling! But all that excitement can become overwhelming when you get down to the nitty gritty. From booking a venue and preparing your guest list to choosing the perfect floral arrangements and finalizing your transportation, you have little time to spare. We can help you free up some of that time by taking care of your charter bus rental for your wedding in Austin. Whether you need to rent a party bus or a minibus, we’ll make sure you have the perfect vehicle suited for all your wedding needs. Your wedding bus transportation should mirror your big event, and be just as amazing. Whether you need a minibus to drive off to Mayfield Park for a pre-wedding photoshoot or a luxury bus rental in Austin to make a grand entrance with your bridal party at your ceremony, we’ll make sure all your transportation needs are filled seamlessly. The best part about weddings is bringing all your dearest friends and family together to celebrate. While some of your guests may be from Austin, others might be flying into the Austin–Bergstrom International Airport from elsewhere. Make it easy for people to get around by organizing a charter bus rental to pick them up from the airport to their hotels, or plan a wedding shuttle service to bring everyone straight to your venue. Whether your reception is hosted at Texas Old Town or Kindred Oaks, our logistics experts will help you plan the best itineraries to accommodate your guests. Unsurprisingly known as one of the premiere party towns of the South, Austin has tons going on all the time. You’re guaranteed to be in for lots of fun by hosting your bachelor or bachelorette weekend in the city. From a float trip down the San Marcos river with Austin Tubing Trips on a hot summer day to a night out hitting up a bevy of eclectic bars like Whisler’s, there’s something out there for every soon-to-be bride and groom. Charter a party bus in Austin for you and your crew, so you arrive in style at each spot on your party itinerary. Treat yourself and your bridal clique before your big day to a relaxing pampering session at Hiatus Spa+Retreat followed by an intimate gathering with all your closest friends at Julie On Main, a quaint French farmhouse-style venue. With so many things to do, make sure everyone has an easy way to get from one location to another by setting up a minibus rental for you and your girls. With their logistics expertise, our bus specialists will help you organize the most convenient routes for all your pre-wedding celebrations! Celebrate your new fiancé status with your family and friends by organizing an outstanding get-together for all your loved ones. Whether you keep it classy at Duchman Family Winery with a visit of their romantic vineyard or host it at The Roosevelt Room with a round of time period-themed cocktails, offer your guests an easy way to get to your private event. Rent a bus in Austin to help everybody avoid parking woes and traffic jams. Set up an easy and safe way for your sports teams to get to all their sporting events with a charter bus in Austin. Whether you are organizing school bus rentals for weekly field practices or setting up a shuttle service between airports and hotels with mini bus rentals, we'll help you choose the right type of bus transportation for your sports team. Leading your team to the championships is the ultimate gratification, right after bringing back the winning title! But it takes a lot of sweat and tears to get there. From hours of team practices to all the games that you need to win along the way, we’ll help you move your team back-and-forth with a charter bus in Austin. Whether you need to rent a coach bus or a school bus, we’ll make sure you have the perfect vehicle suited for all your sports team’s transportation needs. Getting to your game is as important as winning it. Transportation can be catered to your sports team’s needs, whether it’s a minibus rental in Austin that fit smaller rosters or fully-equipped coach buses designed for long-distance trips. Whichever bus type suits your needs best, we’ll make sure your team travels safely and easily to their next tournament. With your team’s prep time invaluable to their success, we make sure everybody gets to your practices safely and on time whether it’s at the Frank Erwin Center or the Mike A. Myers Stadium. Our team of bus specialists can help you plan out a charter bus rental to pick teammates up from a specific location, or to make convenient pit stops along the way. Arriving at Austin–Bergstrom International Airport? With a charter bus rental in Austin, the trip to your hotel will be worry-free – you’ll have all the space you need for your luggage, sports equipment, and entire team. With their logistics expertise, our bus specialists will help you organize a convenient route from the airport to your hotel! Grab your friends and your fan gear, and go cheer on your favorite team whether it’s for a Texas Longhorns baseball game at the UFCU Disch–Falk Field, or a basketball match at the Frank Erwin Center. No matter which team you support, we’ll make sure you get to the game safely and on time. Rent a bus in Austin to skip out on expensive parking fees and to beat game time traffic. Provide easy and reliable transportation to all your corporate events with a charter bus in Austin. Charter a lofty coach bus rental for your next team building activity or organize minibus rentals to bring your team to a conference nearby. Whichever destination you're heading off to next, we'll help you find the right vehicle for all your corporate transportation needs. A strong corporate culture is an essential cornerstone of a well-run and successful company. With team-building activities like corporate retreats, offsite meetings, and even group outings to conferences, you can foster better communication and a greater sense of collaboration amongst your colleagues. With a charter bus in Austin, Bus.com will help you move your team to destination, so you can build ties both in and out of the workplace. Whether it’s for a coach bus rental or a minibus rental, we’ll make sure the vehicle you charter is well suited for all your corporate transportation needs. The bus ride to your next team outing is the best opportunity for co-workers to mingle and get to know each other – especially when different departments don’t often have the chance to meet. Either incorporate augmented reality (AR) into your team bonding through fun interactive games at Austin Cluetivity, or hit up Stunt Ranch, the self-proclaimed World’s Best Corporate Playground, for some head-to-head action-packed competition. No matter where you host your next corporate retreat, we’ll help you rent a lofty coach bus so you can stay comfortable for the ride, or a more cost-friendly option with a school bus rental. Off-site meetings and a change in work environment are great productivity boosters. You won’t even have to bat a lash over travel time! With a fully-equipped coach bus rental, you’ll have enough room for all your usual work necessities, including space for your laptop, WiFi, power outlets and comfortable reclining chairs, so you’ll be able to keep being productive even while on the road. 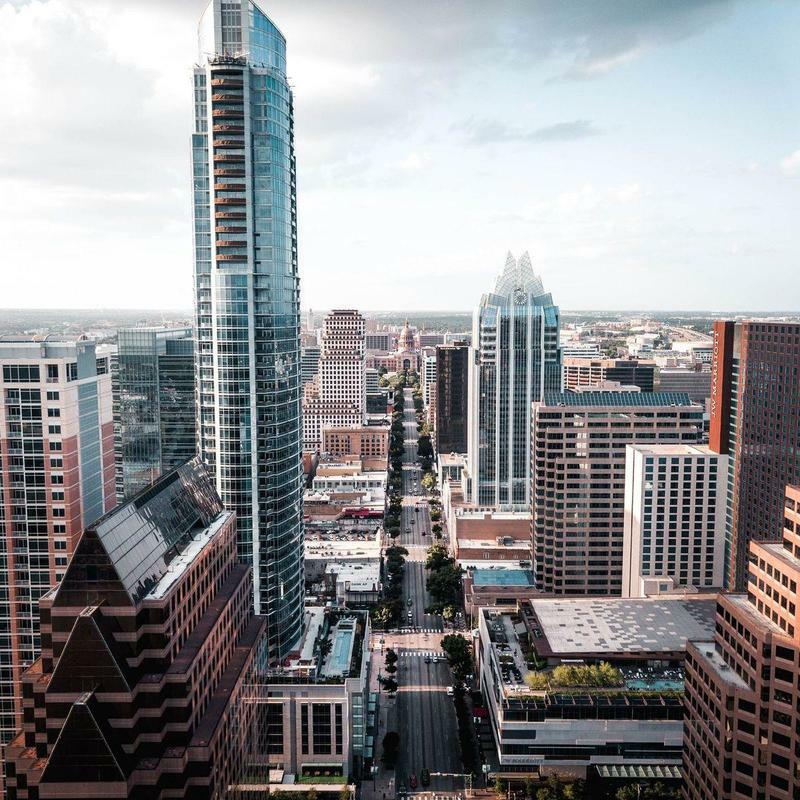 Whether your conference is held at the AT&T Executive Education and Conference Center or the JW Marriott Austin, by booking a bus rental in Austin with professional drivers, you’ll arrive safely and on time to the event. Also, if you decide to request WiFi on your coach bus, you’ll be sure to remain connected and comfortable while on your way to the conference.